Do you target your marketing to your ideal leads, or are you marketing to everyone the same way? If so, how’s that working for you? 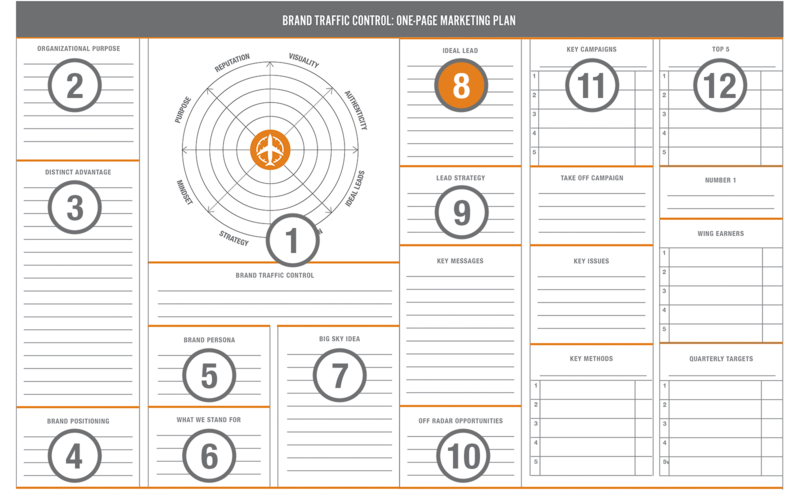 Under the Brand Traffic Control process, we recommend getting more from less. In actuality, bringing in fewer leads can result in more revenue and less time converting ideal leads into customers. Your sales team works best with leads that are a good fit for what you have to offer and there’s a strong possibility that when presented with the right offer, the leads are ready and willing to make a decision. Where do they go to look for information? Use these profiles to better focus your sales and marketing team’s efforts. To download The One-Page Marketing PlanTM ,click here.